Here’s a different twist on a traditional layered birthday cake, I made it using 4 round Belgian waffles. It’s kid-friendly to assemble! For this one, I chose a special Belgian Waffle recipe that is tasty just on its own. I added maple syrup in-between layers to keep the waffles moist. 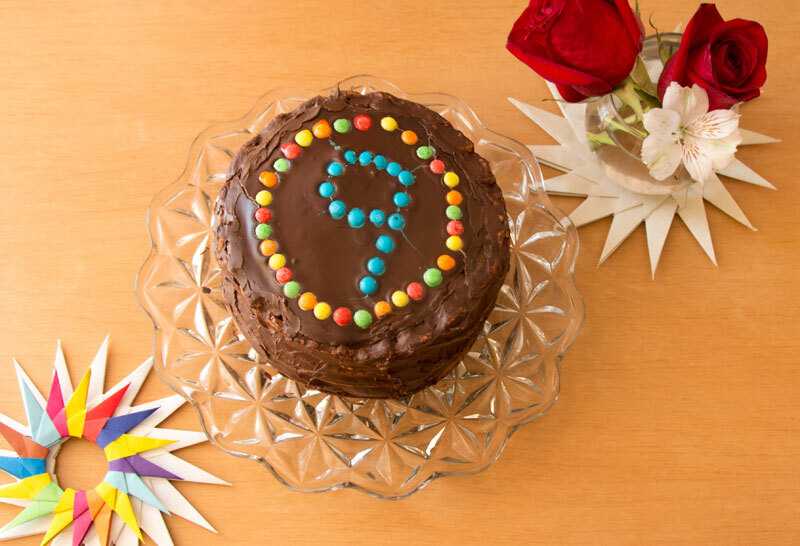 To finish off I iced the “cake” with chocolate ganache and decorated with mini candy-coated chocolate bits. Here’s all the layers of waffles after brushing maple syrup in between layers and adding ganache on the cake sides. 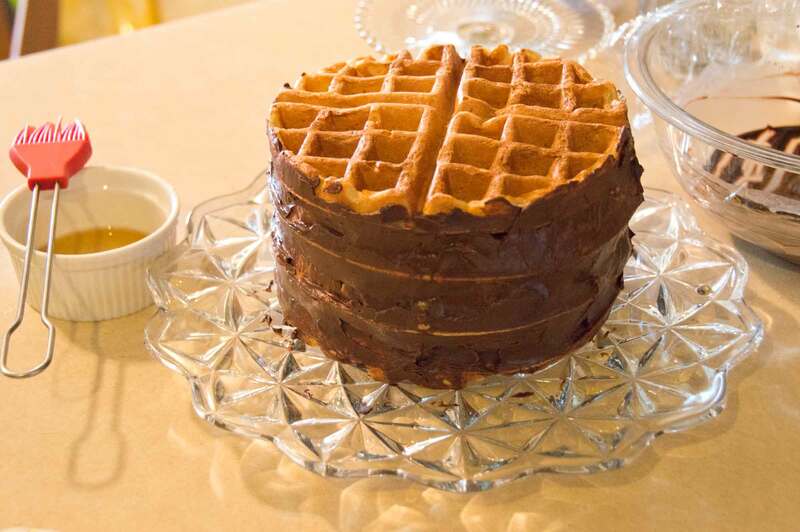 Here’s a picture of the waffle cake of what was left from a birthday party. The trick to making light waffles is to add whipped egg whites to incorporate air into the batter. Freeze the waffles ahead to save time. Adding the maple syrup to a thawed waffle will help keep the moistness of the waffles. Use a serrated knife or bread knife to slice the cake. Add chocolate. Let it sit for 2 minutes. For truffle: Leave in refrigerator overnight. Ice cake: Use in liquid form. This entry was posted in Food, kid-friendly, Recipes, Vancouver and tagged baking, recipe by marilou. Bookmark the permalink.